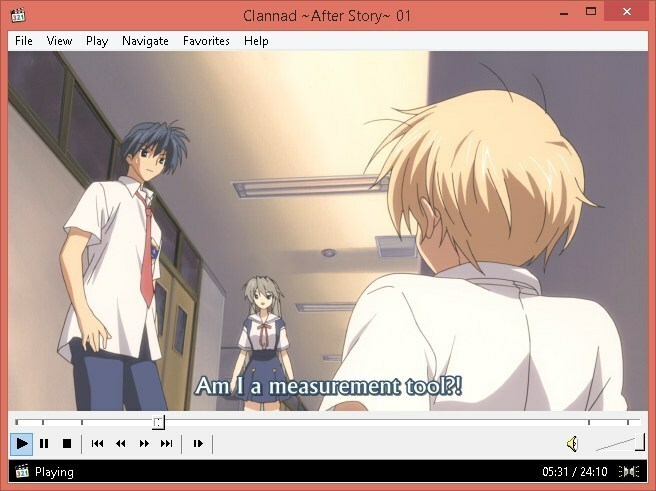 Media Player Classic - Home Cinema (MPC-HC) is a lightweight player with broad format support. It includes keyboard shortcuts, audio/video controls, a web interface for remote control and more. The program is derived from Media Player Classic (MPC), a media player that mimics the interface of Windows Media Player 6.4, and adds support for EVR rendering, H.264 and VC-1 video hardware acceleration, bugfixes, additional languages, decoders and more. Alternatively, there is an unofficial updated build. Versions from WinPenPack and PortableApps are also available: X-MediaPlayerClassic_HomeCinema and Media Player Classic - Home Cinema Portable. "v1.7.13, the latest, and probably the last release of our project…"
No matter what IMO Media Player Classic has always been, and will always be the best overall Media Player. I've been using for a very long time on many different OS's and it fulfilled my needs on all of them. I like the look and all the rest, maybe I'm being partial but so what it works 4me :) Great job by the makers so thanks for the hard work.